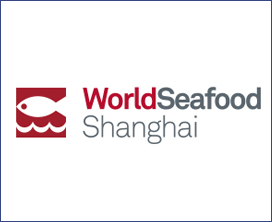 With the 13 years development, World Seafood Shanghai which was founded in Shanghai became a global exhibition in nowadays. Relying on the domestic consumer market and the strong international visibility and influence of Shanghai. World Seafood Shanghai sticks to "B2B aquatic products trading" and leads the industrial development with a forward-looking insight of the industry. The exhibition connects producers, distributors and consumers and provide a professional, high-end and effective exchange and cooperation trading platform for global fishery industry. Joining with 8th Shanghai International Catering and Ingredients Exhibition (SHICAI) in 2017, attracting 51,829 visits from over 59 countries and regions. Key participating countries included America, South Korea, Australia, Argentina, New Zealand, Norway, Spain, Denmark, Canada, Ecuador, Thailand, Myanmar, Pakistan, Iceland, Ireland, Scotland, Welsh, Sri Lanka, and plus many more. China is the world’s biggest country with a colossal food and drink market – 1.3 billion people live, work, eat and drink in China. Wages and the middle class are on the rise, fueling consumption of imported goods. Real wages rose 400% from 2000-2014. Average income levels are expected to reach $10,700 by 2017 – a huge increase from 2012’s average of $6,200. China’s middle class is already larger than the US’ at 109 million people. By 2022, 54% of China’s population will be upper middle class. More purchasing power points towards bigger export opportunities as China’s taste for foreign foods grows. Seafood consumption is increasing annually, matching rising import levels and incomes. By 2020, each person will eat 35.9 kg, while urban consumption of seafood has already passed 40kg per capital.